“Sense of Place with Minelle Mahtani,” Roundhouse Radio, August 24, 2016. “UBC proud owner of $202,000 US rare book from 1896,” Vancouver Sun, August 24, 2016. 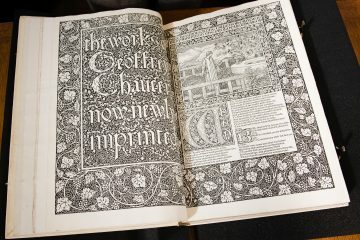 “UBC acquires rare hand-printed Victorian Chaucer volume,” CBC British Columbia, August 24, 2016. 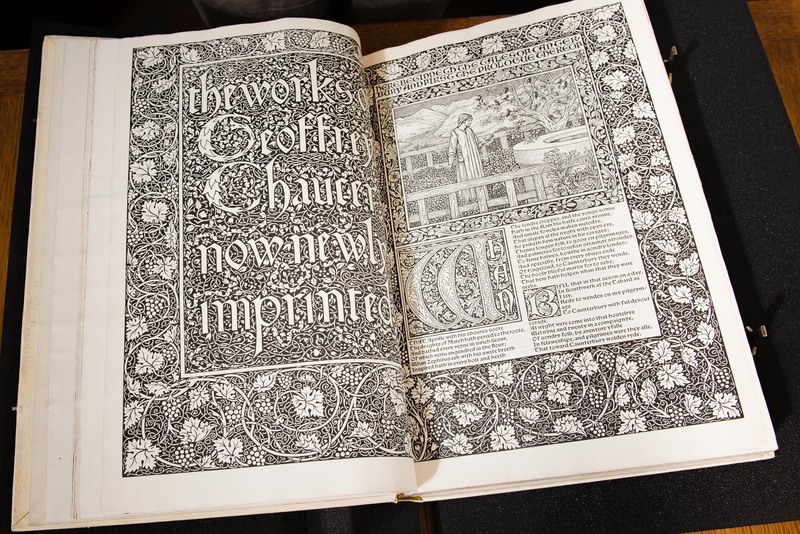 You can find some amazing photos here, but if you’d like to see the Kelmscott Chaucer in person (and who wouldn’t?! ), drop in to our weekly tour / open house. The open house highlights materials from our diverse collections and includes a tour of the Wallace B. Chung and Madeline H. Chung Collection exhibition space. The tour / open house runs every Wednesday from 11 a.m.-12 p.m., no appointment necessary. We looking forward to seeing you there! Worth looking at this !